April 03, 2019 – – Alberta based Telus/Cambridge Electronics Incorporated is delighted to announce their exclusive new promotion for rural households in select communities. The offer provides the Huawei B612 model Smart Hub hardware free of charge when activating a 2-term package with Telus/Cambridge Electronics. New Smart Hub customers can also enjoy a Mobile & Home bonus (See the Mobile & Home Offers on the website or in-store more details) if they are an existing mobility customer or sign up for mobility on the same account. Find out more about this offer, which will not be advertised to customers, at Telus Rural Internet. Telus offers exclusive Internet price plans along with Smart Hubs and the LTE wireless network as an in-home Internet service in selected rural AB and BC communities. However, there are some hardware and network restrictions. The considerations for determining service eligibility are as follows: Limited or no access TELUS high speed Internet service and LTE network capacity. Please note that the rate plans offered in this promotion have strict eligibility criteria which need to be confirmed and cannot be moved outside the exact location for which it is qualified—otherwise the internet connection will be blocked, and the customer will not have internet access. New Telus Smarthub customers can also enjoy a Mobile & Home bonus if they are an existing mobility customer or sign up for mobility on the same account. See the Mobile & Home Offer for New and Existing Mobility and FFH Customers bulletin on their website for more details. Telus/Cambridge Electronics have a team of Telus Specialists, professional problem solvers, tinkerers, and all around geeks, working around the clock to make Cambridge Electronics Incorporated the best Telus Service Provider. “We take care of the complicated stuff so our customers can enjoy the Telus products they depend on. For those in rural communities, we know that the internet really is their window to the rest of the world,” said Dan L’Heureux of Telus/Cambridge Electronics Incorporated. Smart Hubs like the one in the offer are becoming increasingly popular. They can be hardware or software that connects multiple devices on a home automation network, controlling communications among them as well as connecting to cloud services. They can also connect IoT (internet of things) devices that make use of Bluetooth or Zigbee protocols to connect rather than using wi-fi or cables. The team at Cambridge Electronics help make it easy to select the right plan, smart hub and devices of all type, including TVs and phones along with preferred accessories, enabling their customers to take advantage of social networks and integrate with web services already used as their own personal communications hub. The Telus Smarthub Promo for home customers is only for eligible rural regions. It includes the following perks: A $50 one-time bill credit for Smart Hub and 1GB mobility data free for 24 months. As noted above, the Smart Hub must only be used in the customer’s home. Those choosing the Huawei B612 model when activating it for a 2-year term are also eligible for the $0 hardware cost offered along with it. Cambridge Electronics Incorporated is an authorized Telus dealer in Fort Saskatchewan, Alberta, Canada. They serve multiple areas across Canada in addition to Fort Saskatchewan, such as Edmonton, Sturgeon County, Strathcona County, Sherwood Park, Gibbons, Redwater, Bruderheim, Smoky Lake, Lamont, and so on. 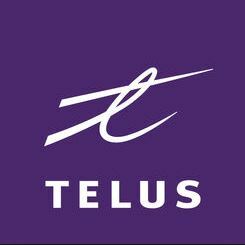 The Fort Saskatchewan Telus outlet provides a full range of electronic goods, including Telus TV hardware and services, products and services for businesses, tablets, Internet services, different kinds of accessories, and other exclusive services. For more information regarding the services, products, and available promos at the Fort Saskatchewan store, visit the company’s website or drop in at the store in person. Interested parties may also contact Dan LHeureux of Telus/Cambridge Electronics Incorporated to follow up any queries.